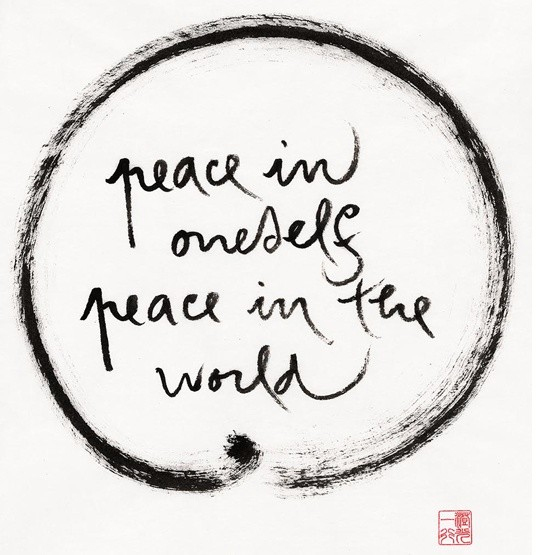 Blog | Mindfulness & Wellbeing | Offering Mindfulness-Based Stress Reduction (MBSR) developed by Jon Kabat Zinn plus shorter mindfulness workshops at PA and NJ locations. When I worked as a vocational rehabilitation counselor, I had close to 200 clients in my case load and the demands were overwhelming. Each person had a history of injury, disability, and needs that were often heart wrenching. For instance, my clients included an office worker whose desk collapsed on her one day leaving her in chronic pain for the rest of her life plus many others with head injuries, spinal cord injuries, or mental health disabilities. The stress for both my clients and me was over powering at times. I was constantly filled with gratitude that I had a longstanding mindfulness practice that supported me and contributed to my clients. However, it’s a very limited view to see mindfulness training as simply a stress reduction or wellness program. Mindfulness is the capacity to be aware of what’s happening in the present moment with a quality of attention that’s curious, and accepting. The point is to pay close attention, to see more clearly what’s happening in the moment, including physical sensations, thoughts and emotions. How is this helpful? As one example, when I’m aware of physical sensations, it’s possible to catch tension and tightness in my body quickly before thoughts and emotions escalate. This deeply affects how we interact with customers, clients, patients or co-workers since interactions often happen in stressful moments. 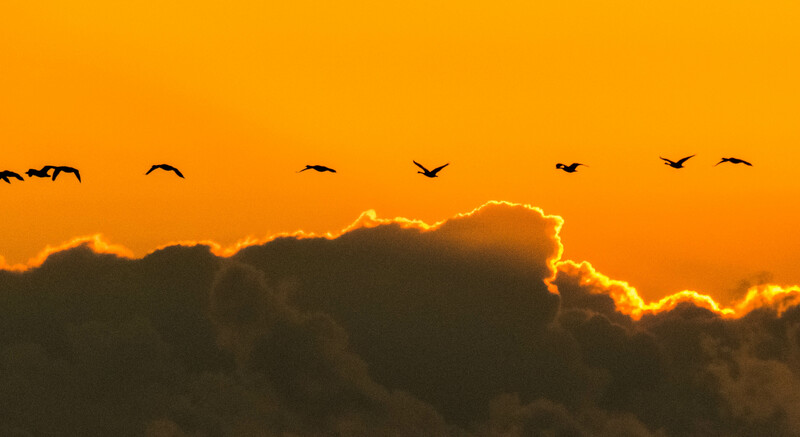 Mindfulness supports an ability to be more open and sensitive to others, to recognize when a busy mind or outside distractions take us away from being really present. It helps us find more sensitivity to our customers’ needs. I experienced this a couple years ago when I had eye surgery. It was a little nerve wracking considering I was to be awake for the whole procedure. I got to the surgery center early in the morning and was greeted by nurses who did everything physically necessary to get me prepped for surgery but didn’t pay a lot of attention to my emotional state. At one point my surgeon came over. I’m sure she was far busier than the nurses or staff, yet she took the time to notice my anxiety and she showed that sensitivity with the smallest of gestures. She lightly touched my shoulder and said “Are you OK?”. In that moment she was able to be mindful in a very small way that made a huge difference. Being sensitive to patients or clients also includes mindful listening. This might involve collaborating on projects, for instance, which is more and more necessary in today’s workplace, or navigating that difficult encounter with your boss. Many people think they’re listening when they’re really thinking about their response. While the other person is speaking it’s common for one’s mind to be analyzing, judging, problem solving, agreeing, or disagreeing rather than tuning into what the other person is actually saying. Mindfulness helps in bringing a sense of curiosity and compassion without an agenda while listening. This then becomes a firm basis from which to respond. Here’s an example where mindful listening and empathy were crucial. In this video, police Lieutenant Richard Goerling describes a very stressful situation when he was on a call to deal with a 12-year old boy who was totally out of control. Just as important as empathizing with others is practicing self-acceptance. Accepting yourself means embracing even those parts you don’t like, including your weaknesses and short comings. For instance, sometimes, after a difficult day, my mind is perseverating about all the difficulties and challenges I had that day, judging my actions, blaming myself. Being mindful means, first, just noticing I’m doing that which can make a big difference. Maybe I’m only thinking about the one thing I had difficulty with and forgetting the four things that went beautifully. Sometimes I really need to troubleshoot difficulties and plan new approaches. In that case, slowing down, taking a pause, listening to myself carefully allows inner wisdom to emerge in a way it never can when my mind is going in endless circles of judgment and recrimination. There are many other ways that mindfulness can be helpful. For instance, when a multitude of demands are coming at me from many directions, it’s often difficult to focus. That happened every day on the job I mentioned above. It was easy to be pulled in many directions, to start something, get interrupted, move off in 5 directions at once or get distracted by all the things that needed to be done to the extent that not much got done. Mindfulness was invaluable in helping me focus. First, I’d tune into my body and notice the tension. I would follow that with a mindful breath, a pause. Then I would remind myself to just come back to one thing, just this one thing, right here, right now, simply coming back to the present moment over and over. Mindfulness is not just about adapting to a difficult situation, however. Sometimes, the word “acceptance” is used when explaining mindfulness and this might imply passivity, accepting things as they are. Instead, mindfulness helps with realizing we have the option to make choices in every moment, which leads to wise and skillful action. For instance, maybe you’re considering a job change but feel conflicted. Part of you is anxious about starting over in a new situation, or blaming yourself for difficulties you’re having with your current boss. Seeing difficulties with openness and curiosity means seeing the actual situation clearly. We can see whether we’re acting out of habit, or fear or anger or truly responding to this particular situation and this particular set of circumstances. We can open up to a whole range of options instead of being fixated on only one or two possibilities. We can work with anger and other strong emotions and find skillful responses which is the opposite of passivity. Even in areas not directly thought of as soft skills, or people skills, mindfulness can be crucial. These engineers explain that both art and science, technical skills and ability to think out of the box are necessary for product design. Finding inspiration and innovation comes when you can quiet the mind, quiet the voices of judgment and criticism, move off of autopilot and move into an intuitive frame of mind. Mindfulness helps us to be more fully present in our relationships at work, whether with a supervisor, coworker, customers, clients or patients. As we learn to sit back and listen to others we can learn to respond more out of a creative, intuitive, connected place. This can allow us to step out of fixed ideas of who we are and begin to see each other as fellow human beings. This is an active, not passive, role that contributes to seeing more options and to identifying actions that will contribute to the overall mission and purpose of the organization. Yes, mindfulness is about much more than stress reduction. I’m very happy to announce the publication of a new book by Oren Jay Sofer on mindful communication! Bringing mindfulness into real life situations is not always that easy and I find Oren’s writing to be insightful and inspirational. Thank you Oren! When it comes to conversation, the force of our habits and the pressure of social settings can make it exceedingly difficult to maintain presence. Here, our internal practice serves as a basis. We use the arena of conversation itself as a training ground for presence, using techniques to anchor awareness within the midst of exchange and developing the capacity for relational awareness. When I came to communication training after five years of dedicated mindfulness practice, I noticed certain changes emerging. I naturally began bringing more awareness to when I chose to speak and listen. I also began to make simple adjustments in the flow of my speech, taking pauses or making subtle shifts in my pace to modulate my nervous system. Eventually I learned to widen my awareness from my own sense of embodiment to include the other person, our connection, and the space around us. Consciously choosing when to speak and when to listen is essential for meaningful conversation. In some respects, it’s the most basic communication skill. How many times have you said something only to wish you could take it back moments after the words left your mouth? Or hit “send” on an email when it might have been better to let things cool off? It’s equally important to have the courage to say our piece. When we don’t speak up, we can feel as if we’ve let ourselves or our loved ones down. I call this juncture the “choice point” between speaking and listening. With presence, every moment offers a choice. One of my NVC colleagues uses the acronym WAIT to remind himself of this. “Why Am I Talking?” he asks, pointing to how quickly and easily we tend to open our mouths. “What Am I Thinking?” he inquires, tracking the mental process that spurs our speech. A choice point is a moment of awareness in which we decide whether to speak or listen. Our ability to maintain presence at the choice point takes practice. Sometimes the moment of choice races by like a road sign while we are doing seventy-five miles per hour on the freeway. The impulse to speak can be so strong that it impels us to verbalize simply to release the internal pressure. If we tend toward the quieter side, it can feel as if those openings in a conversation disappear before we can muster our voice. The anxiety we feel in conversation is usually rooted in deeper needs to be seen or heard, needs for safety, acceptance, belonging, and so on. The less confident we feel in meeting those needs, the more pressure we will experience to speak up or remain silent. We might fear that if we don’t say something right now we’ll never be able to do so. Or if we do say something, disaster or disconnection will surely ensue. This capacity builds slowly. As we practice honoring our needs, we learn to trust ourselves. Paying attention to any small successes helps our nervous system settle and reset. With a new baseline of ease, it can stop setting off false alarms that impel or prevent us from speaking, and our ability to make more conscious choices grows. We can then discern what’s going to be most helpful to move a conversation forward and how to balance all the needs on the table. 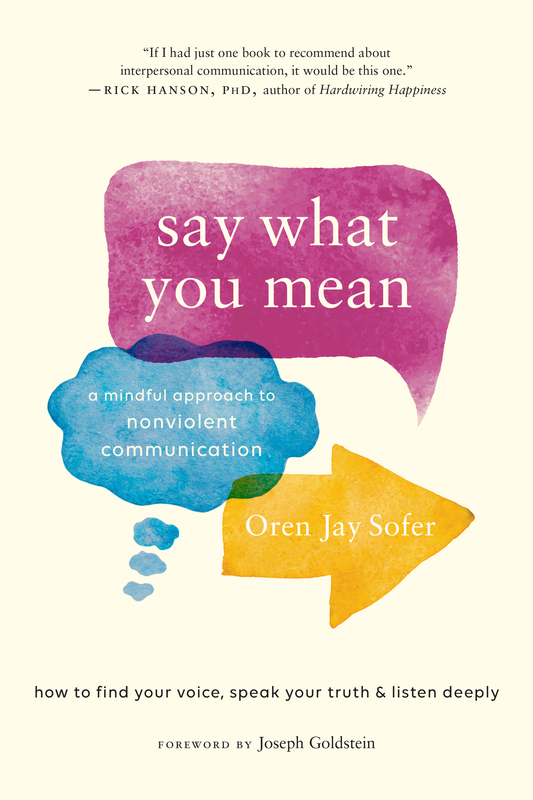 Oren Jay Sofer is the author of Say What You Mean: A Mindful Approach to Nonviolent Communication. He leads retreats and workshops on mindful communication at meditation center centers and educational settings around the United States. 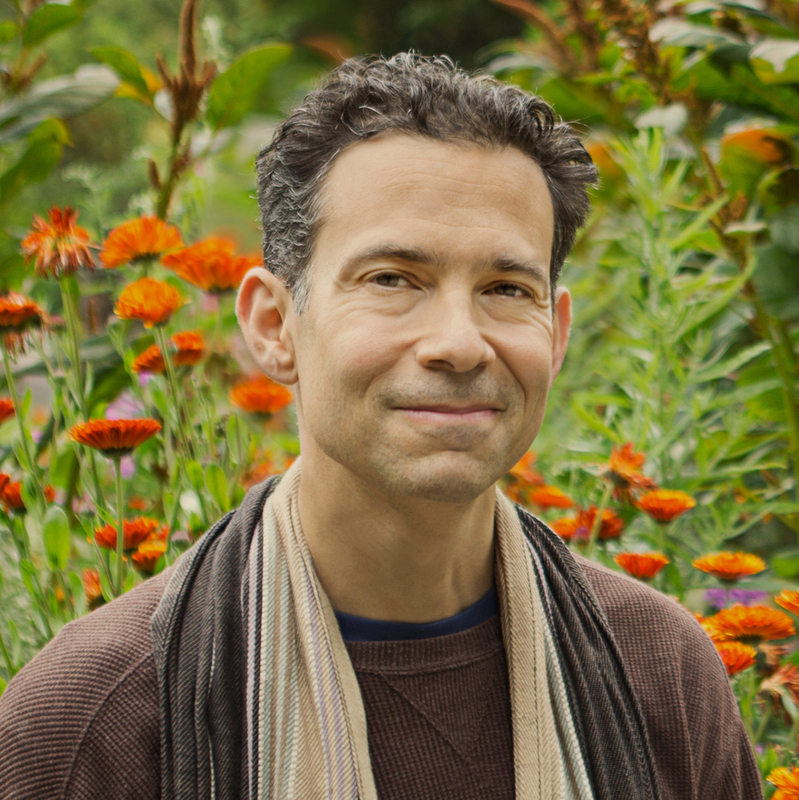 A graduate of the IMS-Spirit Rock Teacher Training Program, he holds a degree in Comparative Religion from Columbia University, teaches in the Insight Meditation community, and is a Somatic Experiencing Practitioner and a Certified Trainer of Nonviolent Communication. Oren creates mindfulness training programs for a number of organizations including Mindful Schools, Kaiser Permanente, and 10% Happier. He lives in Richmond California. 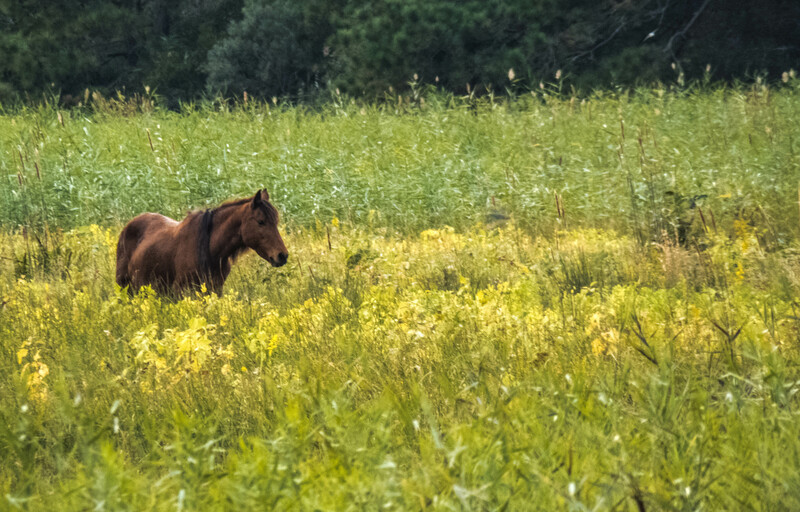 I’m just back from a photography trip to Chincoteague and Assateague off the coast of Virginia. Before the trip our instructor was very clear. This was to be a working vacation and it wasn’t for beginners. I felt a little trepidation. I knew enough about f stops and aperture settings to think I might fit in yet I was barely beyond the beginner stage with photography. I also knew we would be going out in the field to catch the best light at sunrise and sunset. Still nothing could prepare me for getting out of the van that first morning, in the dark, wind blowing, cold and bleary eyed from lack of sleep. Our instructor is way too awake. He’s even happy and joking: “Quick, quick, we’re wasting daylight” he says. I think about pointing out to him “there is no daylight. It’s pitch black”. I guess he knows that. We are at a beach. I stumble thru the sand a short distance though it feels like a mile. I try to set up my tripod. I’ve used this tripod for 2 years, but never in the dark. I didn’t bring my flashlight either. It’s sitting comfortably back in my room in my suitcase. The notion we would be photographing in the dark didn’t quite penetrate my thinking. I couldn’t remember where all the settings are. My fingers are awkward. My feet freezing. 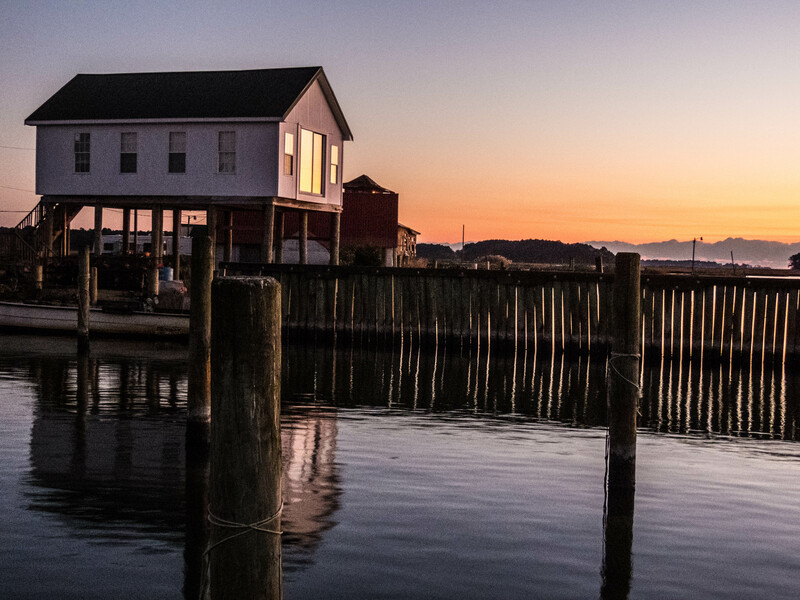 Finally back to the base for an instructional session, then our first critiquing session and more photography at sunset. Whew! What a first day. I fall into bed exhausted, with racing thoughts that made sleeping difficult. I find myself doubting myself and thinking: “Others must think I’m completely incompetent.” My mindfulness practice kicks in. I watch the thoughts float by. Thoughts are just thoughts. More 5 am wakeups follow. The days start to blur into each other. I find myself getting into the rhythm. I get more acclimated to the cold. The camera settings come a little more naturally. I start to actually look around, start to see and to really take in my surroundings. The quiet of the early morning sinks into my being. I take in the clouds, purple, blue, orange. I experience the world waking up, the birds coming alive, other creatures stirring. I start to become attuned to the colors. The light is so different in the early morning. The reflections of the sky in the water. The colors in the windows of a building. I find myself more and more able to just be present. The camera becomes an extension of my eye. There is a sense of the picture taking itself. Yet everything looks so different when seen thru a camera lens. I’m standing in the midst of an immense, cascading, overwhelming, ever changing, kaleidoscope of colors, shapes, sounds and smells. The camera puts a border around all this. In a way it diminishes the immensity of life around me. It also helps me open to that life in a whole new way. Something about seeing one small piece of the world brings me out of my head and more attuned to the life that around me. This day, this moment I have the privilege of seeing it. It’s humbling. I see my place in the world more clearly, just one tiny piece in a vast universe. Gradually I learn to focus on details. It’s impossible to capture the 360 degree panorama within which I live. I learn from our instructor. 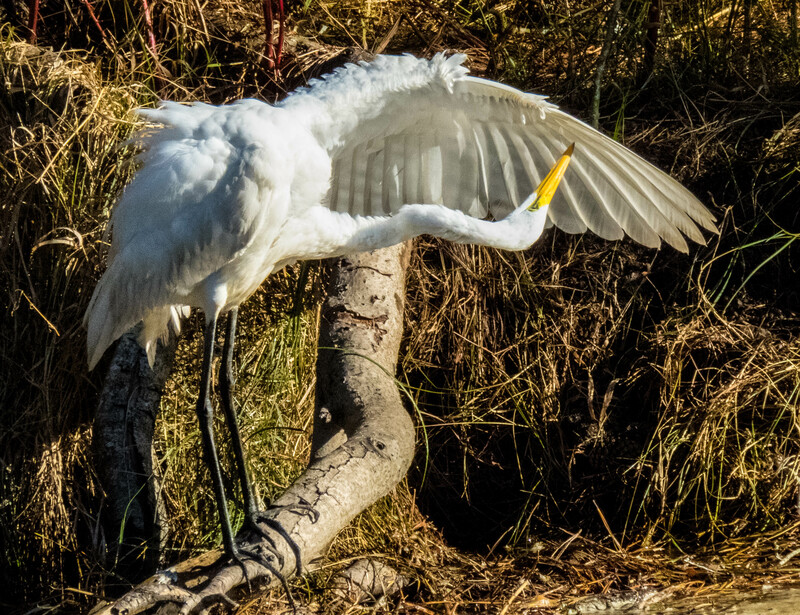 In our critiques he comments: “I’m not sure what you were trying to convey.” or “this over here is distracting, what are we looking at?” His words and my mindfulness practice help me really see when I’m out there with the camera. A natural flow emerges, an openness to seeing the world in a new way, as a form of meditation. I start to see and feel the subtleties that make up my daily experience. I find a deep sense of calm, and a sense of wonder. Seeing the eye of a bird, seemingly looking at me, more likely looking for the next morsel of food, yet somehow it feels as if I can see into the spirit and soul of that bird. I watch my thoughts. What is beauty? 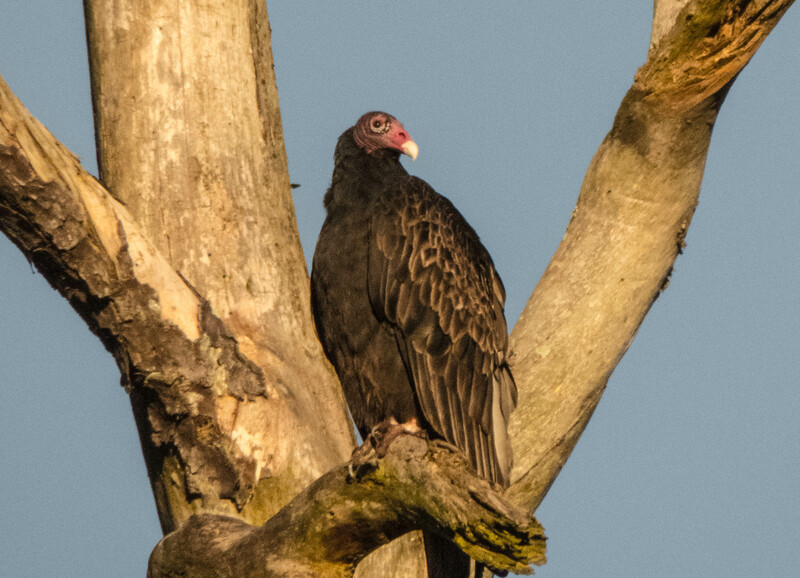 Is that vulture ugly or does it have its own beauty? We arrive at a place where we are to stay for 2 hours. It looks awfully ordinary to me. I notice my thoughts: “I’ve got to get a good picture out of this. We’re going to present our pictures to the class in a couple days.” I let the thoughts come and go and start to approach it without an intention for what the outcome might be. I find myself more and more able to just relax and sink into being where I am. I find a sense of humility in enjoying all the small sights that make up my world. In that way the ordinary becomes awesome. I begin to notice small moments. 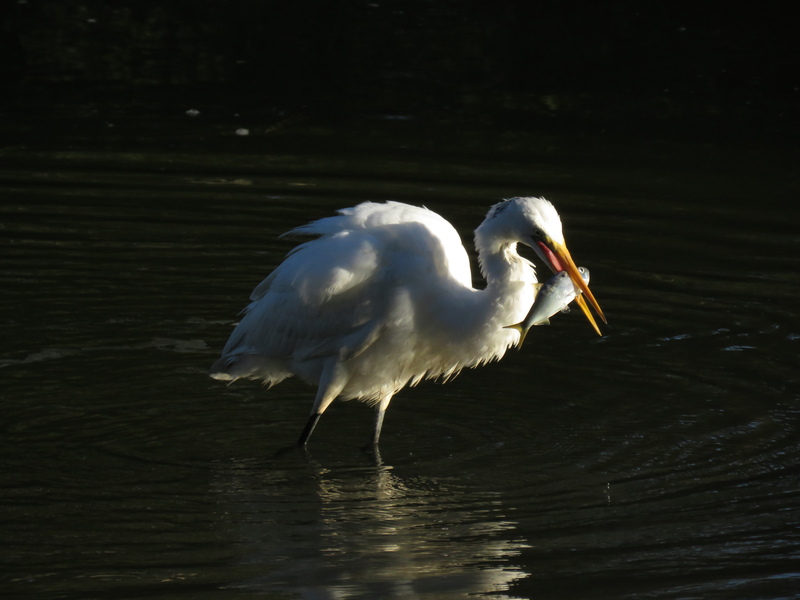 It takes perseverance and presence to catch the exact moment when the bird catches a fish, for instance. I sit there for almost an hour, just being present, to get that picture. I am here. I am so honored and so humble just to be here, to be standing in this place at this instant and seeing this exact moment in time. Then it’s gone. Fleeting. Everything changes so quickly. By the time I catch it, the moment is gone. The days go quickly. All too soon I find myself back at home with hundreds of pictures to pore over. Everyone asks about my vacation. I show the pictures. I get the oohs and aahs yet something is missing. In some ways the photographs have become objects, dead, a frozen moment. 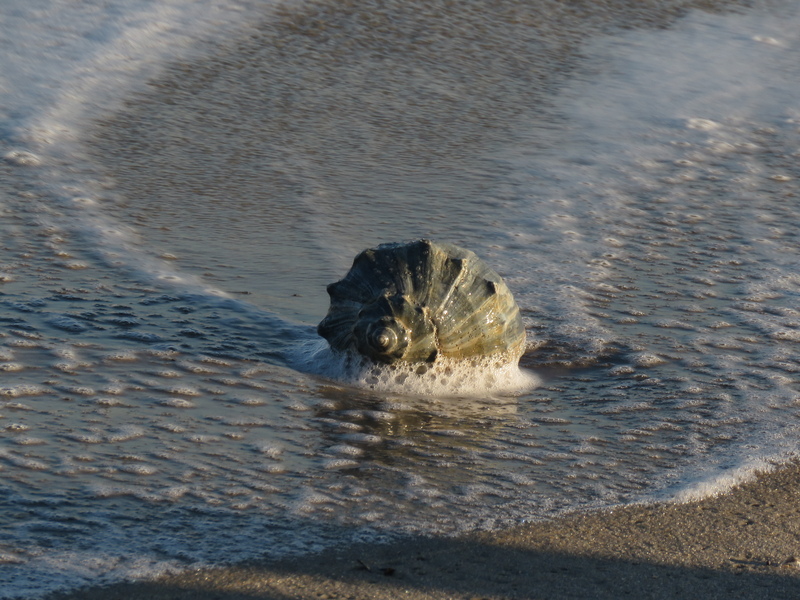 Then I just sit and really take in one photograph, a shell, water surrounding it. It’s more than just a memory. I can look at the photograph and have new ongoing, emotional reaction to the photograph itself. I see not just a shell, and not just an intriguing picture, but the swirl of the water, the colors and shapes. I remember being mindful of the raisin in the first session of our 8-week class. A new world opens just by sitting and seeing. Just this, just this one shell, this one wave, these multitudes of color in this one instant of life brings me back to a new way of seeing. After this trip I find my senses sharpened. I realize I miss so much. Now I feel more committed than ever to really being awake for my life. Whether it’s noticing the wind in the trees in all their autumn glory or sitting with a friend who is in distress, just being present is profound. More information about our 8-week Mindfulness-Based Stress Reduction course. One day last week I was sitting out in my backyard. The day still had that early morning feel to it. Bits of conversation drifted over from neighbors in my row of townhouses. There was a job interview that hadn’t gone well, medical concerns, all the frustrations and issues of the day. We often say the purpose of mindfulness it to be able to be more fully present in the midst of our lives, for the pleasant as well as the unpleasant moments. I recently had an opportunity to use my mindfulness practice in a very challenging situation. Most of us tend to set up unrealistic goals and judge ourselves harshly when we don’t meet them. Even when we do accomplish a goal, the joy is often short lived. Got that college diploma, well what about a job? Then a promotion? Then… on and on. Life becomes an endless stream of “not quite good enough”, a never ending struggle. Everywhere we look Spring is announcing her arrival…bright yellow forsythia sprays; fruit trees brimming with white & pink blossoms; brilliant yellow daffodils bursting on hillsides; and perennials emerging from their winter sleep with the promise of Summer flowers to come. Alongside this outpouring of life lies the debris of leaves, sticks and branches from the Fall and Winter. All of these seasons coming and going, co-existing in the present moment. During this time of uncertainty as we move into the beginning of 2017, I find I can be easily caught up in fear and angst about the many negative scenarios and projections in the media regarding what will unfold over the coming years. I have been, probably like many people, trying to find a way to anchor my responses in a sense of possibility and optimism (rather than fear and scarcity) which is grounded in reality. My deepest wish is to contribute to the many different possible solutions to our shared human difficulties. It’s that time of year again, the time when many of us make New Year’s resolutions. Maybe you’ve resolved to exercise more or to go on a diet to lose weight. Perhaps you’ve decided to increase your time meditating or maybe you just want to stop criticizing your spouse so often. Whatever it is, if you’re anything like me, you may find yourself starting with immense enthusiasm and then watching with dismay as your best intentions peter out in a short period of time. This can quickly get into a negative, downward spiral of self criticism which actually undermines any positive goals you’re trying to accomplish. This election cycle is almost over. I’m breathing a sigh of relief! It seems like it’s been going on forever. Of course, the stress is not going to be over just because the election is past. No matter what the results are, half the people of this country will be extremely dissatisfied. How will we ever heal divisions given the way positions have hardened and polarized? Bridging divides seems so urgent and yet it feels totally out of reach at this moment. Still I don’t want to get stuck in hopelessness and despair. 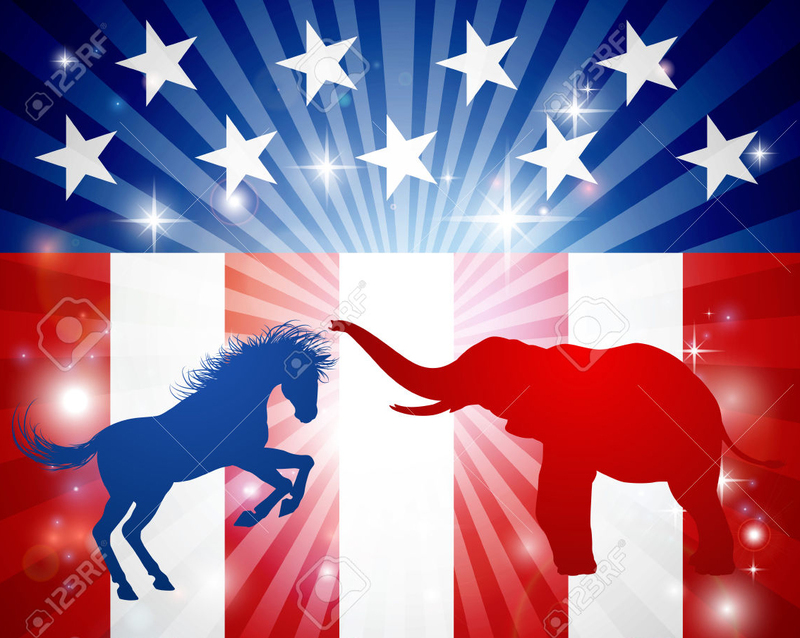 Are you feeling stressed out, losing sleep, feeling emotions charged and mind racing over the upcoming election? I know I am. Friends, clients and family members have reported symptoms as varied as emotional outbursts, difficulty sleeping and preoccupation to being totally disengaged or disconnecting with the process completely. Yesterday I saw myself full of angst, ruminating about getting older and just wishing life would go the way I want. Some days this type of mood seems to go on and on as I watch myself get derailed by depression, anxiety or hopelessness. My husband had suggested kite flying as an activity for us to share with our 8 year old grandson. We found an amazing kite store with a huge array of kites, guaranteed to be easy to fly and fun. On Wednesday’s the kite store also sponsored a large kite show at the beach in the evening. So our plan was to pick up our grandson from summer school at noon and head to the shore with kites & boogie board in tow. We would play in the surf first, take a break to have dinner and return in time for the kite show. As with all good plans, we ran into complications. I felt myself begin to get tense and stressed as Summer school ran late that day delaying our arrival at the beach until almost 4. I’m heading off to a silent retreat next week with the discord of our contentious times ringing in my ears. I question whether my mindfulness practice is simply my own personal journey or can mindfulness really make a difference in the larger world? Many people, myself included, come to a mindfulness practice thinking about personal issues. Indeed there is ample research showing that cultivating mindfulness can have a major effect on decreasing stress and in learning to work with physical pain or mental health issues such as anxiety and depression. Still, in these times of discord, beset by racism, classism and myriad other isms, I ponder the place of a mindfulness practice in the wider world.